It is with great sadness that the family of Donald W. Parmer announce his passing after a brief illness on Friday, February 1, 2019 at the age of 84. He is survived by his wife of 63 years, Barbara (Doyle). In these recent years they enjoyed morning trips to McDonald’s for coffee, a drive through town, and walks together at Fort Massac State Park. Don is survived by his daughters, Vickie (Bill) Waldridge of Metropolis, IL and Lisa (David) Atwell of Hickory, KY. In 2012, his middle daughter, Denise Gilbert was laid to rest. Don is also survived by three grandchildren: Alisha Farlee, Caitlin Knisely, and Hailey Knisely. He was blessed with three great grandchildren: Bryce F. age 10, Nylah K, age 2 and Naloni S, age 1. On the day he passed a fourth great-grandchild, Canaan, entered this world. He is also survived by a sister-in-law, Helen (Fred) Orman of Karnak, IL. In addition to his daughter Denise he was preceded in death by his parents, Clyde and Flora Parmer and one brother, Herb Parmer. Over the course of his life, Don worked for the bender in Metropolis, the Power Company, he delivered newspapers, he mowed for the City of Metropolis, and was a foreman at Southern IL Steel for a number of years. 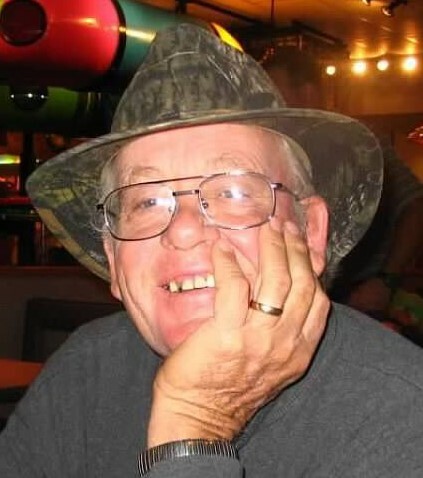 Don enjoyed motorcycles, upholstery work and model airplanes. Graveside services will be at 1:00pm on Sunday, February 3, 2019 at Metropolis Memorial Gardens with the Rev. David Atwell officiating. Burial will follow.